Full payment is due with registration. Tuition fees are refundable before the semester's or session's classes begin less $20, which is a nonrefundable registration fee that is included in the tuition. Tuition cannot be refunded after classes begin. In unusual circumstances and at the director's discretion, a credit may be issued. Credit cannot be issued for changes in nap and/or work schedules. If at all possible, we will change your class assignment to accommodate your new schedule. Credit will be issued only for the three school-year semesters. No credit will be issued for missed summer classes. A credit can be issued only if you notify us within one week of the onset of the problem that will prevent you from continuing with your class. The credit must be used within one year of issue. It may be used for another child in the family but may not be transferred to another family. 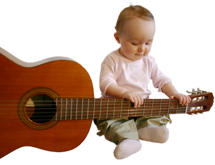 Little Nightingales Music Together, LLC, reserves the right to cancel under-enrolled classes. If your class is canceled before it is slated to begin, we will make every effort to place you in another class. If we cannot place you in another class, then we will refund your tuition payment in full. If your class is canceled after the semester begins, we will negotiate your refund on a case-by-case basis. You may make up as many as two missed classes per school-year semester and one missed class per summer session. Make-ups should be scheduled online by clicking here and entering the password "nightingale" in the box. One day's notice is required to schedule a make-up; same-day make-ups are not available. Make-ups are available on a first-come, first-served basis and by advance reservation only. Please do not arrive unexpectedly for a make-up class, as there may not be room to accommodate you. Unused make-up classes cannot be rolled over to the next semester or session. You may switch classes for any reason in the first 2 weeks of a semester, as long as there is room in the new class. After week 2 of a semester, switching is permitted only if there is room in the new class and there is a compelling reason for the switch, such as injury or a work schedule change. All requests will be handled on a case-by-case basis. Because the educational philosophy of our program requires the comfortable, consistent, non-performance-oriented participation of our enrolled families, we do not allow our semester's classes to be taken individually as drop-in classes, even for a fee. Free demonstration classes are given before every semester or summer session begins. For a schedule of free demo classes, please see the submenu "Demo Scheduler" in the toolbar. For the same reason, families may not bring an unenrolled child, even a sibling or a twin, to class instead of the enrolled child. If illness or an accident prevents the enrolled child from attending class consistently, please contact the office. Instructions for checking on class cancellations due to inclement weather are included in the packets given out on the first day of class. Canceled classes will be rescheduled, usually by extending the semester past the original end date. Adult family members are always welcome to attend class. If you need to bring an unregistered sibling, please try to notify us ahead of time. 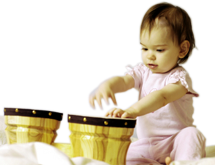 In addition, no unregistered children other than siblings can be accommodated unless prior arrangements have been made. We do not allow drop-ins to our regularly scheduled classes; free demonstration classes are offered before each semester or session begins. Please be considerate! Do not bring a child with fever, a rash, a hacking cough, a streaming nose, oozing eyes, or lice or nits to class. If you are in doubt about whether you should attend class, please consult your child's doctor. Little Nightingales Music Together, LLC, respects your privacy and will never share, sell, or rent your personal information with third parties for their promotional use. Your e-mail and mailing address will be shared only with our licensor, Music Together®® LLC, for educational and quality assurance purposes. Copyright © 2019 Little Nightingales Music Together. All rights reserved.